Keeping your personal data Secure from unauthorized people is as important as taking the backup of all your data. If you lose your hard drive, the person got hold of it can easily access it. So always make sure that your External Hard drive is encrypted and also password protected. 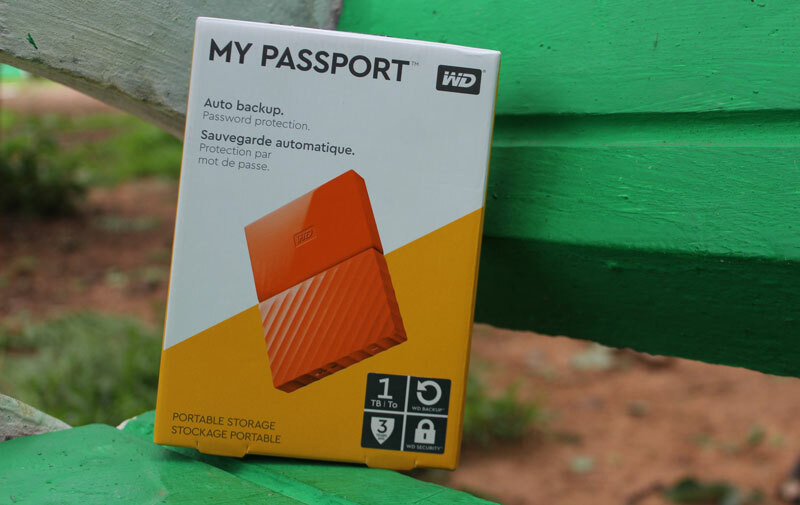 Follow the below tutorial to setup the Password for your WD My Passport External Hard Drive. Once you install the necessary software, it will hardly take about 2 to 3 minutes for setting up the password. Note: The WD My Passport software uses your password to electronically lock and unlock your drive. If you forget your password, you will not be able to retrieve it. Also, there is no way to access the data on the hard drive. You’ll have to erase the drive before you use it again. 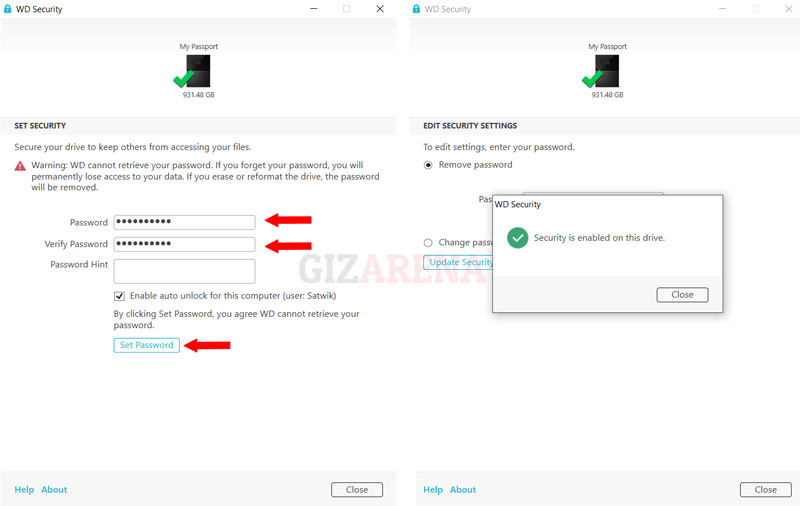 How to set a password for WD My Passport Hard Drive? Connect your newly bought WD My Passport Hard to your computer and open WD Discovery.exe that comes pre-loaded with every hard drive. Alternatively, you can also download the software from WD’s official Website by visiting this link. Once the download completes, install the app. Once the download completes, Open the WD Security app. You can also open it from Start menu -> All apps. Tap on ‘Set Password’. You’ll get a message saying ‘Security is Enabled on this drive’. Once you enter the right password, the drive will unlock and will be shown in the My Computer or This PC section. 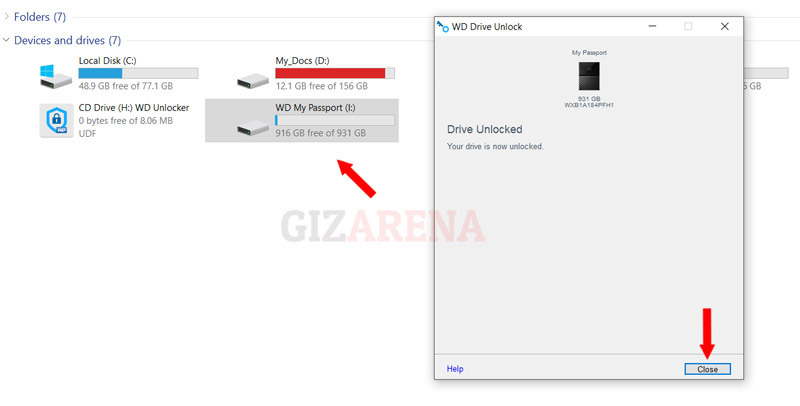 Now you can close the WD Drive unlocker window. 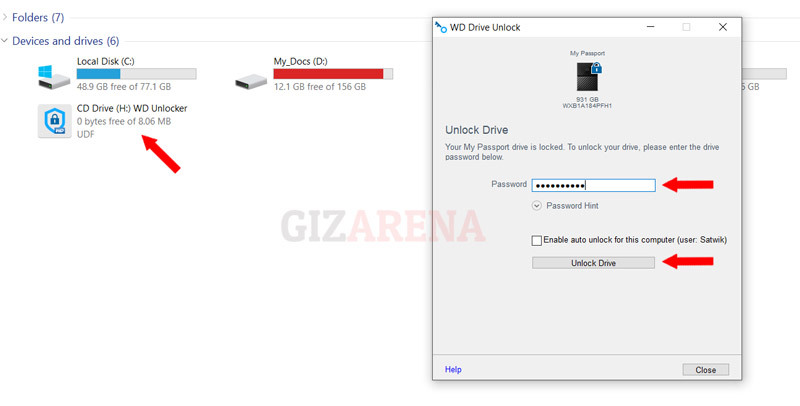 How to Remove Hard drive password? How to change Hard Drive password?